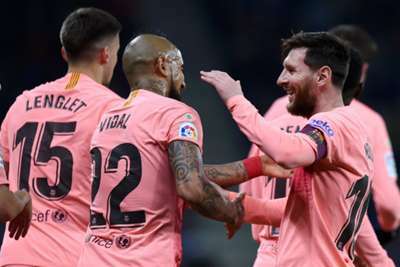 Barcelona have withdrawn from a plan to play their LaLiga away match against Girona in Miami. As part of a 15-year agreement between Spain's top division and Relevent Sports, it was proposed Barca would face Girona at Hard Rock Stadium in January. But LaLiga's plan proved highly unpopular, with the Royal Spanish Football Federation (RFEF) and Association of Spanish Footballers (AFE) both publicly speaking out against it. FIFA president Gianni Infantino in October said he would block any attempt to take a LaLiga game to the United States, although the league's president Javier Tebas has continued to push for the proposal. Barca, though, said on Monday they are no longer willing to play Girona in Miami because of a lack of support for the idea. However, the Catalan giants remain open to the possibility when it is backed from all quarters.